Preheat oven to 350. Place muffin liners in muffin tins. •Mix all dry ingredients into a large bowl, until well combined. •Add all wet ingredients to dry ingredients. •Place batter into muffin liners filled 1/2 full. •Bake at 350 for 17 minutes. •While muffins are baking place glaze ingredients into heatproof bowl on top of stove on low. Use the back of a spoon, to break down the little powdered sweetener chunks. •Once muffins come out let them cool for 5 minutes on rack. 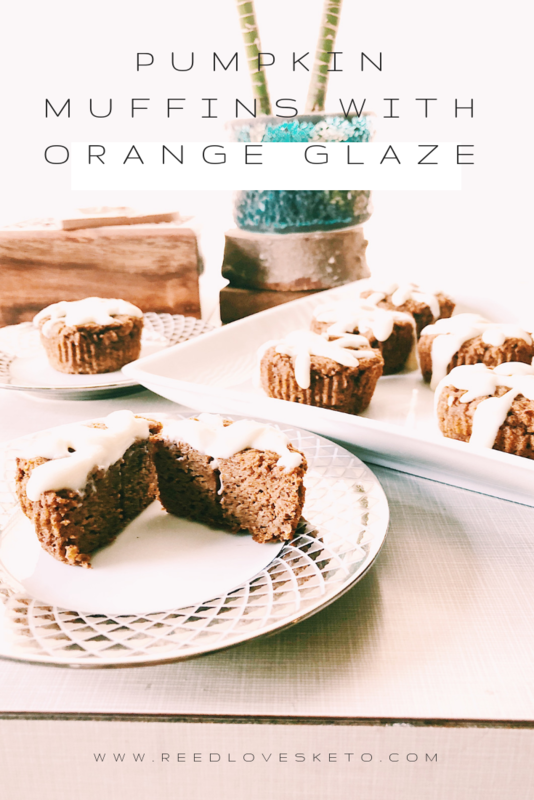 •Drizzle glaze on top with a spoon.